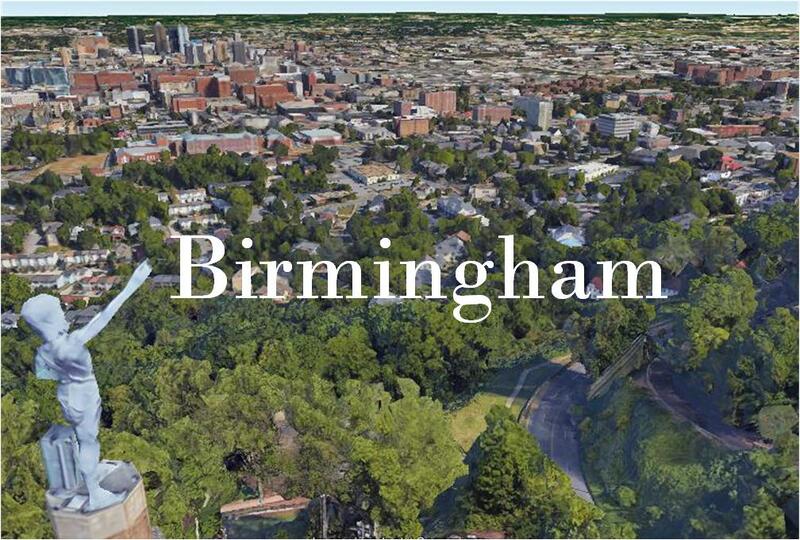 The name of this organization shall be the Birmingham section (hereinafter called “the section”) of the Society of Women Engineers (hereinafter called “the Society” or “SWE”). The section is an organizational unit whose purpose is to further the objectives of the Society. The section is empowered by the Society to pursue the objectives of the Society under these bylaws and in consonance with the bylaws of the Society. In accordance with the Society’s policies and purposes, the section shall not discriminate in connection with its membership and its services to the public at large. Members of the section are those members of the Society assigned to the section. All members of the section shall have the right to attend all in-person section and executive council meetings. Members shall have the same membership grade in the section as they have in the Society and voting privileges as specified in the Society bylaws. A meeting of the general membership to conduct the business of the section may be called by the president, the executive council, or by a group of five percent or five of the voting members of the section, whichever is greater. At least thirty days written notice shall be provided to all members prior to such a business meeting. Twelve voting members or twenty-five percent of the voting members of the section, whichever is less, shall constitute a quorum for the conduct of the business of the section. The officers of the section are the president, vice president, secretary, treasurer, and section representative(s) as designated in the bylaws of the Society. A. The officers must be voting members of the Society and assigned to the section. B. Section officers shall serve for a term of one fiscal year, to coincide with the Society’s fiscal year. C. Officers may hold more that on office provided that there is a minimum of three elected officers of the section. No one may hold the office of president and treasurer at the same time. D. No member may serve in the same office for more than two of any six consecutive years. However, there is no limit on the number of years a member may serve in different offices. Perform other duties normally associated with the office of president or as may be assigned by the executive council or the governance documents. 2.Perform such other duties as may be assigned by the president, the executive council, or the governance documents. 2.Perform other duties normally associated with the office of secretary or as may be assigned by the president, the executive council, or the governance documents. 4.Perform other duties normally associated with the office of treasurer or as may be assigned by the president, the executive council, or the governance documents. Perform other duties normally associated with the office of section representative or as may be assigned by the president, the executive council, or the governance documents. A. The executive council shall elect at least two members to serve on the nominating committee. The nominating committee shall select its own chair, who must be a voting member of the Society but does not need to have been elected to the committee by the executive council. B. Members of the nominating committee may not become candidates during their tenure of service on the nominating committee. C. The nominating committee shall propose at least one qualified candidate for each of the officer positions. The slate shall be presented to the members of the section by mail, electronic mail, or posting on the section web site by April 15 of each year. The petition, together with the written consent, is submitted to the chair of the nominating committee by April 30 or fifteen days after the slate is announced to the members of the section, whichever is later. E. The chair of the nominating committee shall arrange for the distribution of ballots to occur at least twenty-one days prior to the required return date for the vote. Voting may be by mail, electronic mail or web-based provided that mail ballots are sent to those without electronic access. The chair of the nominating committee shall select a tellers committee to receive and count the votes, and to report the results to the president. F. The voting members of the section shall elect the section officers. G. A plurality shall elect for each office. Write-in votes for eligible candidates shall be allowed. In the event of a tie, the election for that position shall be determined by lot, conducted by the chair of the nominating committee. A. Alternate section representatives may be elected during the officer election process. B. The executive council may elect alternate(s) for the purpose of attending a region council meeting if the section representative(s) or alternate(s) cannot attend. C. All alternates shall be designated in the order in which they will be called to serve, with alternates elected by the membership serving before those selected in any other manner. D. Alternate section representatives must meet the same eligibility requirements as section representatives. A.The vice president shall assume the office of president for the remainder of the term in the event of a vacancy. A vacancy in the position of vice president, secretary, or treasurer shall be filled by election by the executive council. A vacancy in the office of section representative shall be filled by the next available alternate section representative. If there is no available alternate section representative, the executive council may elect an alternate to fill the vacancy. The governing body of the section shall be the executive council. The officers of the section and the chairs of the standing committees shall constitute the executive council. An individual holding more than one position on the executive council has only one vote and counts as a single person for the purpose of a quorum. Approve the section budget and authorize expenditures not included in the approved budget. A. The executive council shall meet regularly to conduct the business of the section upon the call of the section president or by written petition of at least one-third of the voting members of the executive council. B. Unless otherwise restricted by law or these bylaws, the executive council may also conduct business by telephone, mail, electronic mail, fax, or other electronic devices. A. A quorum shall be a majority of the members of the executive council then in office, but not less than three, one of whom is the president, vice president, or section representative. B. No member of the executive council may vote by proxy. Any officer may be removed for cause by a vote of two-thirds of the voting members of the section responding to a recall ballot, provided that votes have been received from at least the number of members required for a quorum. Such removal shall be effective immediately upon the recording of such vote. Removal procedures not covered by law or these bylaws shall be developed and approved by the executive council. B. The executive council may establish committees as the need arises. The members of the committees shall be appointed by the chair of the committee with the approval of the president. The executive council shall prepare a description of the duties of each committee and reporting relationships. Each committee chair shall present a status report to the membership when requested by the president. Each committee chair shall also prepare an annual report providing input to the section representative for the section’s final report to the Society. In the event of dissolution, the assets of the section shall be first used to pay any remaining debts, after which any remaining funds shall be disbursed to SWE regions, SWE sections, the SWE members at large organization, the Society, or SWE endowment funds as recommended by the section’s executive council and approved by the SWE board of directors. The rules contained in the tenth edition of Robert’s Rules of Order Newly Revised shall govern this section in all cases to which they are applicable and in which they are not inconsistent with these bylaws and any special rules of order the section may adopt. A. These bylaws may be amended by a two-thirds vote of the members present and voting at a meeting or of the ballots received prior to the stated deadline. B. Amendments may be proposed by a majority of the executive council or five voting members of the section. All proposed amendments must be submitted to the secretary. C. Written notice, delivered either by mail or electronically, must be given to all members of the section at least thirty days prior to the date of the meeting or the specified date for voting to be completed. D. Amendments adopted by the section shall be sent to the Society secretary according to established procedures, and shall become effective after approved by the Society secretary. E .Required sections are marked with a double asterisk (**) and conform to the professional section bylaws template. Changes to these sections of the professional section bylaws template shall become part of these bylaws upon approval of the Society. The section secretary shall incorporate such changes into the section bylaws and forward the updated bylaws to the Society secretary within six months of notification of the change to the section bylaws template.